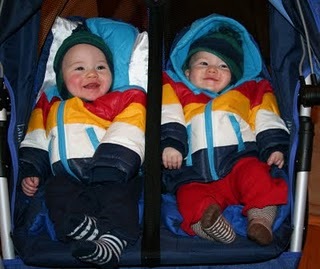 Since we walk to daycare, the boys are bundled in their stroller when it is cold. Here is what they look like for our short walk. 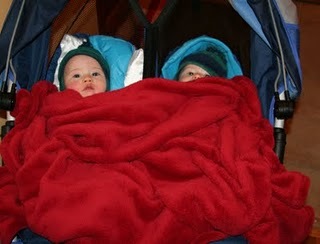 And under the blanket they are wearing their puffer coats.